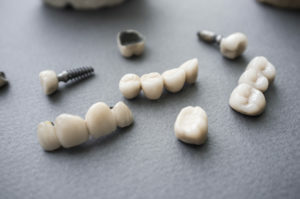 If you need a dental crown to repair damaged or decayed smiles, protect root canal treated teeth, or even replace a missing tooth, you may not know that these restorations are available in a variety of materials. In this post, we’ll review some of the most popular dental restoration materials, but the only way to know which is right for your unique situation is to schedule a restorative dentistry consultation with a trusted dentist. You can review your current situation, discuss treatment options, and plan to recreate a flawless, healthy smile. Many patients worry they’ll need a root canal if they have a toothache. In fact, the better way to phrase that question might be, “Do I have to have a root canal?” The good news is that root canals are not the painful, traumatic procedures they have a reputation for being. In fact, most patients experience significant relief from pain and sensitivity following root canal therapy. The only way to know for sure you’re in need of this treatment is to schedule an appointment with a dentist. However, being aware of the warning signs and calling your dentist at the first indications might help you preserve your tooth and reduce discomfort. Comments Off on Do I Need a Root Canal?